Edinburgh is a city full of catching up. It's true. Every person in Edinburgh I know has mentioned to me at one time or another that we are in fact due one of these 'catch ups' - If you are not from Britain and are unfamiliar with this term, it's an expression used to bring a once close two people together; In order to respectively boast-without-boasting about how life has flourished since departure from one another, gossip about the people you don't see anymore or maybe you've just had to cancel on said person so many times that you feel guilty and yes, this person is quite genuinely due one of your high-in-demand 'catch ups'. Any good, quiet and legitimate cafe is an excellent choice for a catch up. However one cafe in Edinburgh stands alone as catch up central. When you enter the warmth of this particular coffee house and take your mismatched seat, you'll discover that around you reside the long lost ex-colleagues, the once campus room mates and the solitude bookworms. 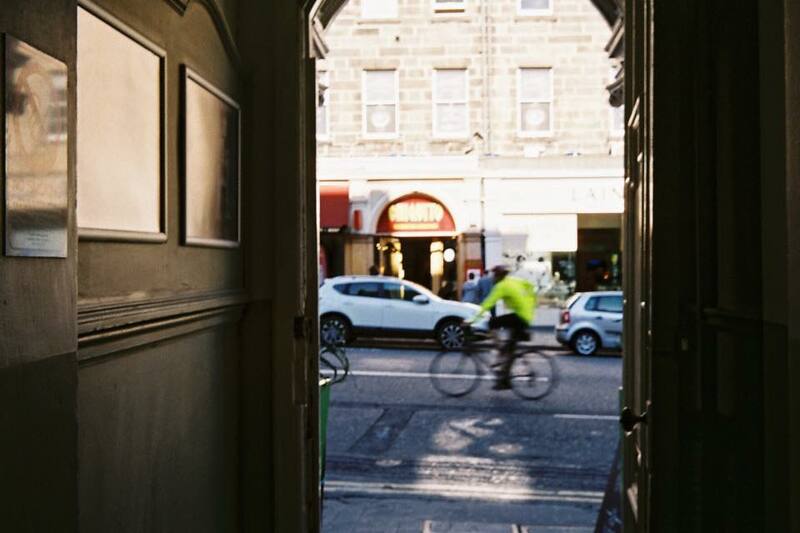 No bigger than the size of someones kitchen-into-dining room conversion, hidden at the top of a stairwell on Frederick Street right in the heart of Edinburgh lies the one and only 'Frederick's Coffee House'. As I've described time and again, Edinburgh is an intimate city. A lot less panicked than most and a relaxing atmosphere at that- but it's no less a city. It still has it's peak moments of rush hour, and also it's fair share of Chinese tourists. There's a slight difficulty in being in the city centre and having access to a quiet, genuine cafe without resorting to the local Starbucks through nothing but the fault of convenience. It would be great if we could visit every city's independent coffee house, but a lot of the time the busiest ones are directly in the centre with little seats to spare and the more suited are in an awkward underground alley way run by the flat white society of said city's alternative scene. Frederick's, however. Frederick's is probably the only cafe I've ever found which is directly in the centre of a city and doesn't pose the threat of hustle, perhaps thanks to it's less than obvious entrance through a converted residence stairwell. I've been there when it's quiet and i've been there when it's busy. And let me tell you something, when Frederick's is busy- it's not busy. You won't find an unappealing queue of impatient caffeine addicts at the bar, or an unsettled humming noise of people waiting for a table. If you find tables are full, people are more than happy to pair up. In fact the only busy problem you'll have at Frederick's is perhaps not getting a window seat and having to settle for the luxurious arm chairs set up beside the incredibly beautiful interiors. Tragic. There has only ever been one occasion of busy when I've attended Frederick's and it resulted in a three hour conversation with a young woman who sat at my table, who had just finished booking her solo flight to India. As one does. Now don't be deterred by the comfortable nature of the people who attend here. I'm sure if I'd stuck my nose farther into my book and ignored her smiles, I wouldn't have been led into this experience- I'm just ignorant of stranger danger. There's a respect of space here as much as there is a friendliness. But enough about my experiences with people, let's talk food and drink. I understand this is a coffee house, and their coffee is good. Great. Fantastic. Creamy lattes served piping hot with instagrammable presentations. What more could you want? However, their herbal teas are pretty excellent too. When I enter Frederick's, I always have this overwhelming desire for peppermint tea and it certainly doesn't disappoint. Most of the time when I'm meeting someone for a catchup or interview, I'm pretty nervous. I'm a nervous person. Peppermint tea is a wonderful remedy for anxious people, but it's also pretty enjoyable over here. Two cups from their black pot of the stuff and you'll be so chill, people will wonder if you're taking something stronger. It's almost as though Frederick's has found the perfect balance for this in catch up terms. When you meet an old friend, it might not feel appropriate for the full blown dinner situation. You don't want to eat ravenously but you still have to eat, and you don't want to pay for both full meals at an expensive rate but you still have a sense of chivalry. The menu is reasonable and of good portion, with excellent paninis, bread boards and cakes. Enough to keep you full, not so much that you look like a gluttonous mess. Cheap enough to pay for, making you look good without having to break the bank about it. You can still pretend you've made it big time even if your career hasn't sped up as much as you imply. But they don't need to know that. Enjoy the ambience of quiet un-cheesy eighties music and good looking young men who come here to read. Order the chunky red lentil soup and don't hold back on the hot drinks. 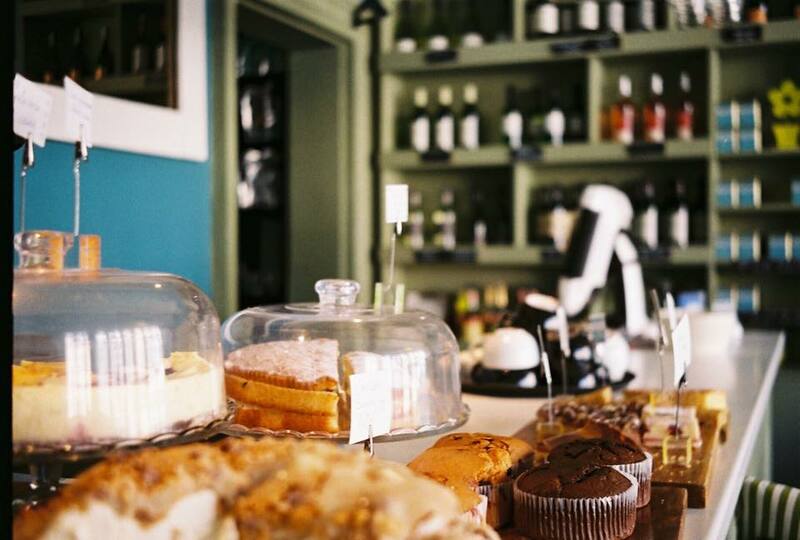 Whether you're indulging in a glass of wine with a previous country club member or whether you're just here for a quiet oasis of caffeine in the heart of Edinburgh - Frederick's certainly provides.